Painting my nails isn’t my forte, specially because I don’t do it as often as I want because of being a nurse. But nail polishes are another love of mine and every now and then I buy a few new ones to suit the new season. 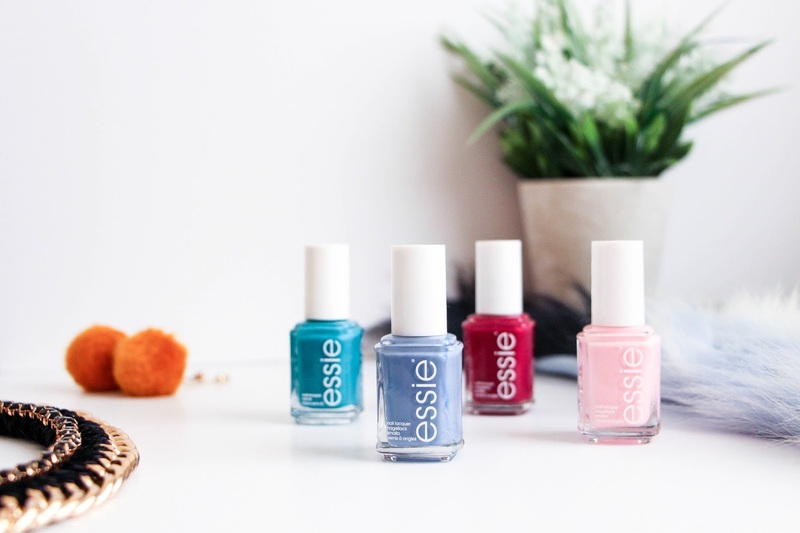 I have bought these four around October and they are part of the Essie Fall Collection but I think that if you want to add a pop of color to your Winter and get away from the classical red nails or gold glitter, these are quite beautiful too. I have been changing between these four for my toe nails and I really like not only the colors but the quality of the Essie nail polishes. As a nurse, I don’t get many options on what to do with my nails and even when I go on holidays I don’t go for gel nails at all cause I always worry on having them removed in time as I always go straight back to work. But ever since I discovered the Elegant Touch Totally Bare Oval False Nails, I always go on holiday with the most beautiful and gel looking nails that didn’t cost that much money. I buy the clear ones as then I can apply any of my Essie Nail Polishes and I am ready to go! You can read more on my Holiday Nail Routine here. Essie Nail Polishes are definitely the best ones I have tried so far, no matter which ones you buy. You don’t need to apply too many layers, one is quite enough as all of them have such a great color pay off. But if you do want that gel nail kind of look, go for a second layer which is what I do. I always get so many compliments when wearing any of these! GARDEN VARIETY. This one is a beautiful deep teal blue orchid that gives a pop of color to your darkest days. It is the one I am currently wearing and I love how it looks. AS IF! I think that this one might be my favourite – a periwinkle blue that looks so beautiful on your nails. Definitely worth adding a color like this to your collection. Absolutely stunning. SAVED BY THE BELLE. This is the perfect light baby pink with a subtle blue undertone (you can tell that there’s a blue thing here). It looks beautiful, I wore it during my holidays to Lanzarote as although it is part of an Autumn collection, this is the one you can wear throughout the whole year. KNEE-HIGH LIFE. I love a deep wine red nail polish during A/W seasons as much as I love wearing a burgundy lipstick. It is the color of the season, always, no matter what year you might be reading this (Hi future me!). Deep reds are always a good choice when you don’t know what to go for. 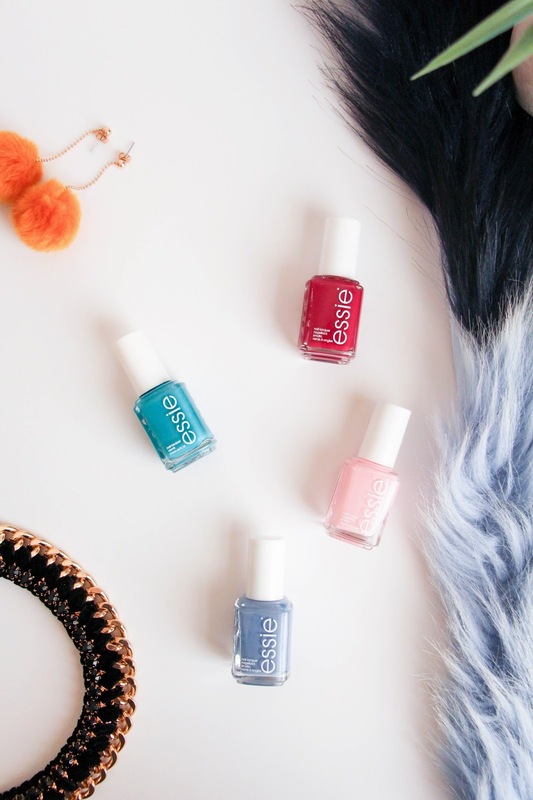 Which one of these is your favourite or what other Essie nail polishes do you recommend?